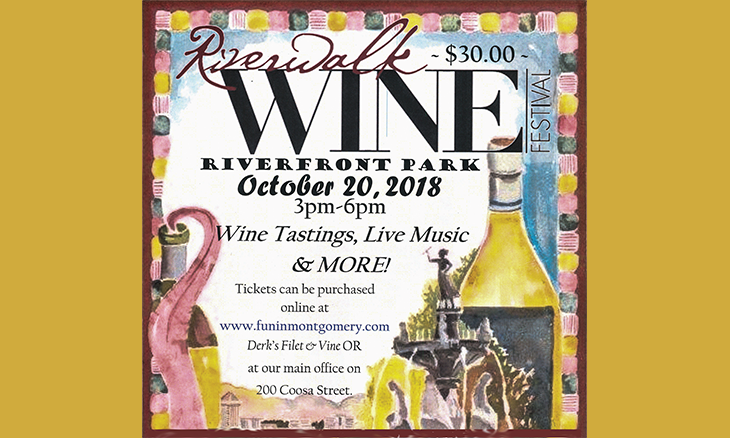 Don’t miss the Riverwalk Wine Festival at Riverfront Park on October 20, 2018 from 3:00 p.m. to 6:00 p.m. This event will include wine tasting from 10 different distributors representing over 100 wineries. With ticket purchase, you will receive a commemorative 2018 wine glass, tasting bag with baguette and wine listing. Don’t miss out on this awesome annual event to kick off your fall festivities! 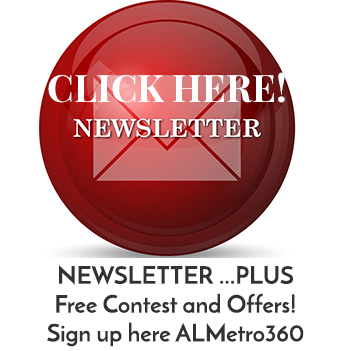 For more information, call 334.625.2300. 3:00 p.m. to 6:00 p.m.